Why have 1 when you can have 5?! Merino Supreme Full Bags offer a fun-filled bag of 5 balls of squishy DK yarn, totaling 685 yards. Perfect for a whole range of projects, small to large, Merino Supreme makes buying multiple balls of yarn that much easier! Trendsetter Merino 6 Ply Yarn is a similar yarn: machine wash, dk (21-24 sts/4 in), and 100% merino wool. You may also like Berroco Ultra Wool DK Yarn, which is another similar yarn: 100% wool, machine wash, and dk (21-24 sts/4 in). 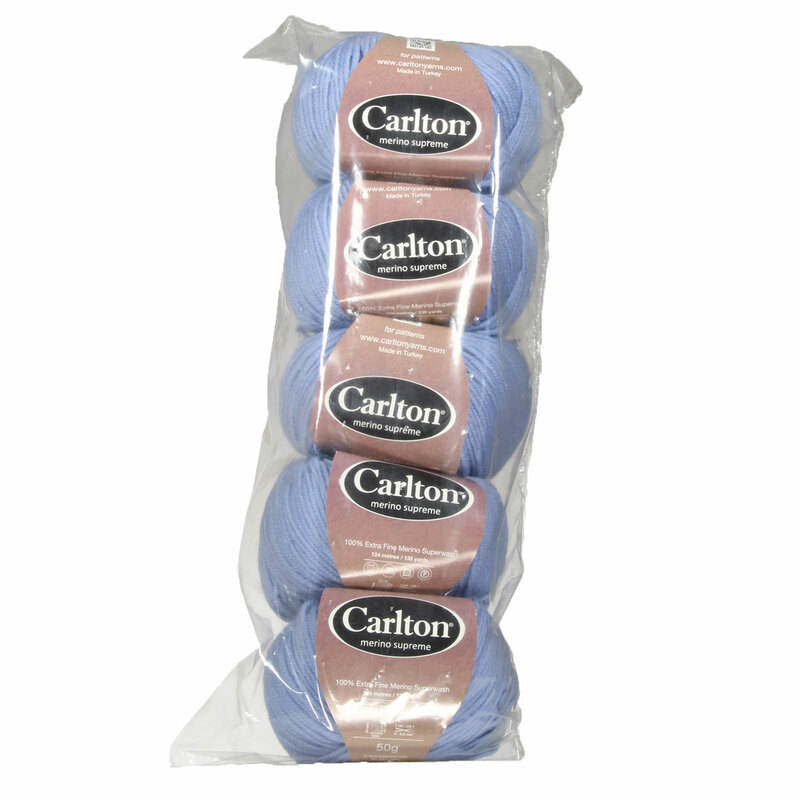 Hopefully our suggested project ideas for Carlton Yarns Merino Supreme Full Bags Yarn can help you come up with your next exciting new project idea!